He will play the upcoming match against Andhra in the Ranji Trophy as his final professional assignment. He played a crucial role in the finals of two world tournaments with match-winning knocks for India and ensured his team ended up on the podium. On December 4, ace Indian opener Gautam Gambhir decided to call it a day from all forms of cricket, bringing to end an illustrious career that lasted almost two decades. His final assignment will be the Ranji Trophy game for Delhi against Andhra starting Thursday. The 37-year-old cricketer played in 58 Tests, 147 ODIs and 37 T20Is, scoring over 10,000 international runs with 20 centuries. His international debut came in 2003 in a ODI against Bangladesh while he last played for India in a Test against England in 2016. In first-class cricket, the left-hand batsman has scored over 15,000 runs with 42 hundreds at an average of almost 50. 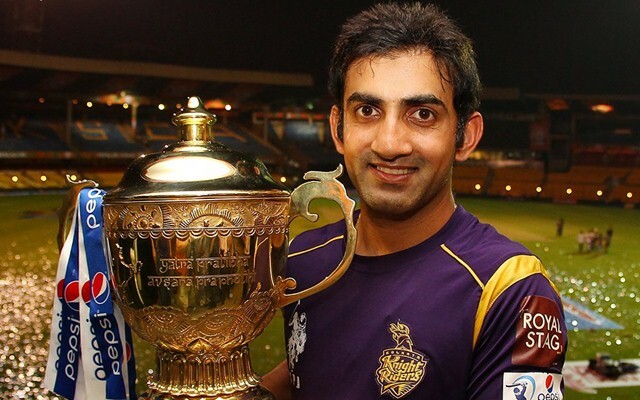 He also led India in six ODIs, winning all of them, and also has been a successful captain in the Indian Premier League where he led Kolkata Knight Riders to lift title twice. Grounds, dressing rooms, wash rooms, you name it the thought has rarely deserted me. Each time I got out playing for India or KKR or Delhi Daredevils this thought would turn into a sharp, disturbing noise and walk with me all the way to the dressing room shouting: “IT IS OVER GAUTI”. It slapped me hard when I got those three ducks in a row in 2014 IPL. Then again when I had a dreadful tour to England the same year. In 2016 I was on my knees again. I was dropped after Rajkot Test match against England. I was searching for my confidence in that deep, dark pit but I could only lay my hands on the same sharp, disturbing noise. It said the same: “IT IS OVER GAUTI”. After a decent 2017 domestic season I entered this year’s IPL with confidence as my best buddy. My feet seemed to have got fresh batteries. My head was still as a pond. And my game, roaring as a raging ocean. I thought all those negative noises were dead. But I was wrong. Six games of IPL for Delhi Daredevils it was back. And this time it was louder than before. Perhaps, my time was up. Yes, my time was up. So, here I am, after more than 15 years of cricket for my country I want to retire from playing this beautiful game. Despite all the aches and pains; fears and failures I won’t mind a repeat of this in my next life too. But obviously with a few more wins for India, a few more hundreds and in the next life may be a few 5-wicket hauls as well. The historic series wins in New Zealand and in CB series in Australia will be reflected upon fondly. But I do hope the current Indian team Down Under can overshadow our feats. I won’t say the list is satisfactory as I feel I was good enough for a lot more. Along this journey I have fostered some meaningful partnerships. None more than with you guys, the supporters of Indian cricket, the most important stakeholders. I have always disapproved of the terms “fans” or “crowd”. Its quite demeaning because I think at the end of the day it is you guys who make cricket or cricketers what they are. I’d also like to thank numerous net bowlers who bowled to me so that I can become a better batsman. They travelled long distances just to help me practice. Thank you very much. My cricket coach Mr Sanjay Bhardwaj stood with me during thick and thin of life. Whenever in trouble I could count on him. “Sir, I don’t know if I have you proud but I can assure you sir I gave it all that I had.” Sanjay sir introduced me to the other coaching influence of my life, the late Mr Parthasarthy Sharma. He was an institution in the art of batting. A lot of credit for my ability to play spin bowling should go to him. I hope I was worth his time. Through JL I met his childhood coach Noddy Holder. His simple approach of see the ball and hit it back to where it came from makes him one of the best that I have met. He is a very humble man and calls himself “NODDY NOBODY HOLDER”. But for my batting, Noddy was everybody. I’d also like to thank all my coaches that I worked with in the Indian team, KKR, Delhi Daredevils and of course Delhi state teams. Each one them had a huge influence on my career and my personality. The thing that I will miss the most is the camradrie of an Indian team’s dressing room. It was a wonderful place to be in. Yes, there are pressures of international sport but then when you have team-mates like I had these pressures look elementary. I learnt heaps from each one of them. I will miss all of that and more. Thank you guys, you all will be my one, big family. In the end I’d like to thank all my family members for their love and support. My parents, grand parents, both the mamas and maamis, my wife and my two little angels who took all my tantrums and mood swings. I’d like to begin with the original talent scout of my family, my mom. It was she who took me to a proper cricket academy at the age of 10 and rest is history. In my tough times Mom was and is my favourite punching bag. I am extremely sorry mom i have been an absolute jughead. My dad took more pressure than me whenever I played. He never shared with me but his colleagues would tell me he’d never watch TV when my game was on. Dad, you too can relax now. My Maama who shaped me as a cricketer and human being is my real pillar of support. He is economical in words but is lavish in actions. What he did for me can never be matched or measured. I hope I have lived up to your expectations. Without seeking your permission I’d like to brag that I am your biggest achievement. Thanks Maama. A special mention to Natasha, my wife. She is the one who has borne the brunt of my mood swings. Unfortunately she has shared more lows than highs with me. Thanks a lot for being there as my strength. Also babes you will see a lot more of me now. And as someone once said, “a retired husband is often a wife’s full time job.” So get ready for this new assignment. At the end of it, all that the cricket fans want to say is Thank you Gauti!